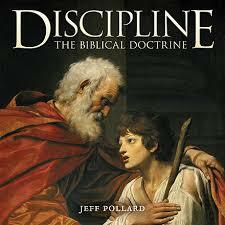 Read more on discipline from William MacDonald and Dr. Martin Lloyd Jones. Good thing we have grace too! Hi Nigel - I can highly recommend a book I am reading called "The Spirit of the Disciplines" by Dallas Willard - p. 68 - " The disciplines are activities of mind and body purposfully undertaken, to bring our personality and total being into effective cooperation with the divine order." I'm loving it so far!